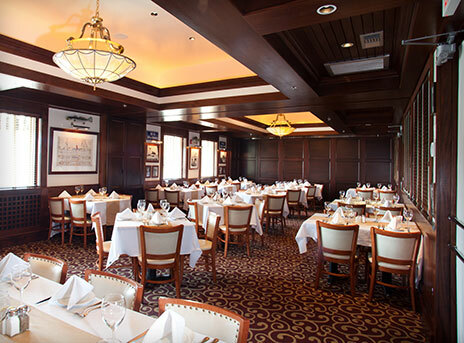 The Banquet Room is our largest room and features rich carpeting, wood blinds and beautiful jazz themed paintings. 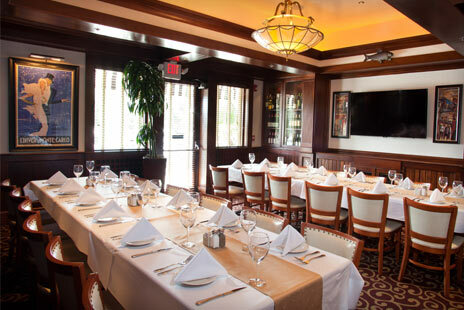 This room is ideal for rehearsal dinners, wedding receptions, business meetings, company parties or any other special occasion anticipating larger groups. The room includes two large screen TV's. 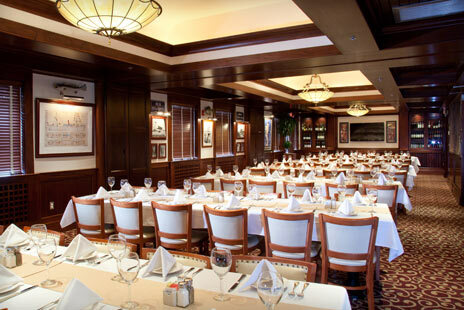 The Banquet Room is available for lunch and dinner Monday - Friday and Saturday for lunch until 3:00 pm. 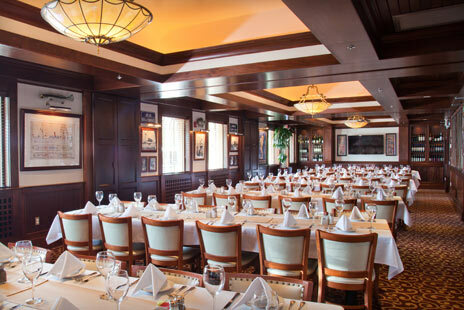 The French Quarter features all of the amenities of our Banquet Room and large windows that make the room bright and welcoming. 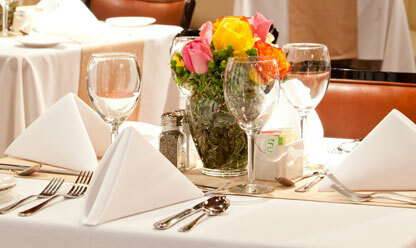 The room may be arranged in many different ways to accommodate your needs. 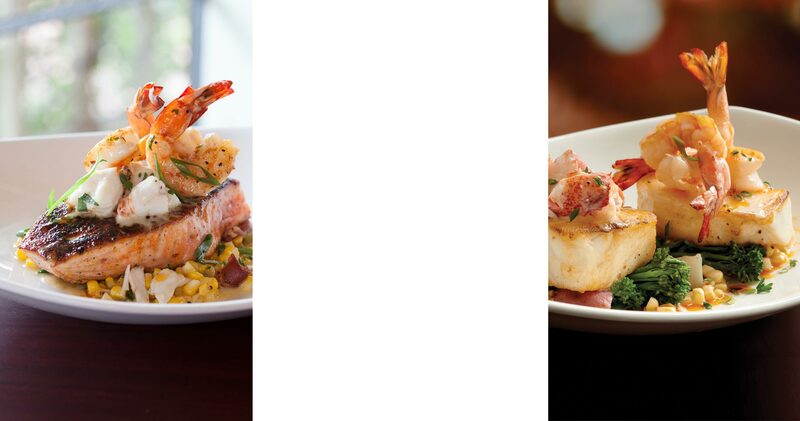 The Banquet Room is available for lunch and dinner Monday - Friday and Saturday for lunch until 3:00 pm. 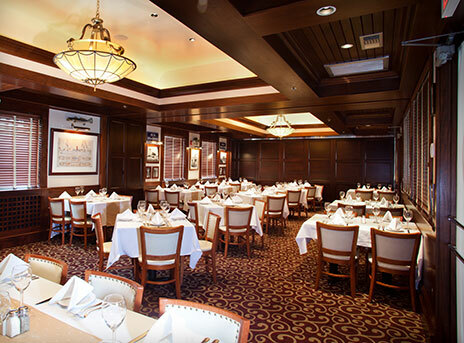 An elegant banquet room with a more secluded atmosphere for you and your Guests. Rich, mahogany wine cabinets and the dark, wood paneled walls give this room a warm, private environment. 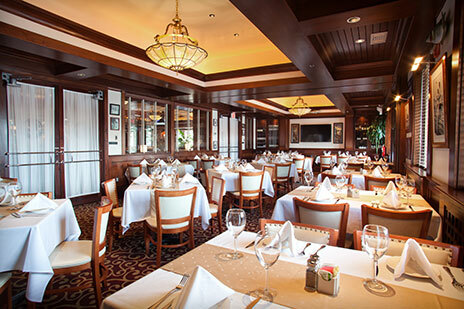 The Banquet Room is available for lunch and dinner Monday - Friday and Saturday for lunch until 3:00 pm.